The US citizenship may be obtained three different ways. The first way is by birth. One is automatically a citizen if he or she was born in the United States. One is also a citizen if he or she is born outside the US and is the offspring of at least one US citizen and certain conditions apply. 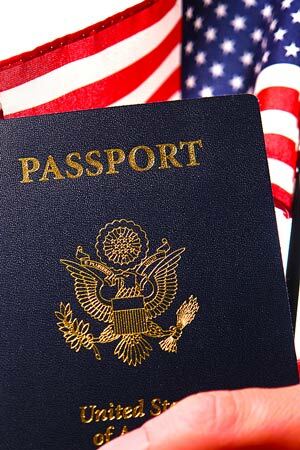 The second way one can obtain US citizenship is by meeting the requirements for US citizenship established by the Child Citizenship Act, which has been in effect since February 27, 2001. If the child meets these requirements, then he is automatically a US citizen even though he was not born a US citizen and did not go through the naturalization process to become a US citizen. In this scenario, one may want to obtain a certificate of citizenship to prove US citizenship. The third way one can become a US citizen is through a process called naturalization. Naturalization enables a non-US citizen to become a United States citizen. A person must meet certain requirements established by the US law. Among them are age, residence and physical presence, good moral character, knowledge of the US government and history and English language. Apart from the US citizenship acquired by birth in the United States and its territories, one can become a US citizen through a naturalizations process. The laws of the United States provide an opportunity for US permanent residents to apply for the US citizenship under certain conditions. The most important of them are continuance residency requirement, and a good moral character of the applicant. To be eligible to apply for the US citizenship, a US permanent resident must comply with a residency requirement: immediately prior to filing of the application, the applicant must reside in the US or its territories for the required period of time. The period of time differs and depends on statutory eligibility for the naturalization, and it is usually 5 years or 3 years (if the applicant is married to a US citizen). Also, generally, the applicant must be physically present in the country for at least half of the statutory period. Immigration & Nationality Act Residence and Physical Presence Requirements (INA§ 316 and 317). It is been interpreted by the USCIS that an individual resides in the US when it is her/his actual, principal dwelling place in fact. The question before many applicants is whether his/her absence from the country affected his/her eligibility for the citizenship. The answer depends on the length of period of absence, the purpose of the trip abroad, the presence of proof necessary to prove that the continuity of residence has not been broken. Generally speaking, absence from the country for up to six months should not affect the residence requirement. If an applicant departed from the US for a period from six month to one year long, he or she will likely have to produce evidence of her ties with the US, and the lack of intent to abandon the US as her /his primary place of residence. Absence for a year and more breaks the continuity of residence, and a person should seek advice of an Immigration lawyer, should he or she intend to leave the country for more than one year. Another condition for a successful US citizenship application is demonstration of a good moral character. What is a good moral character exactly, and how can one determine if he/she can demonstrate it? Usually, this question arises in connection with the past criminal conduct of the applicant, and might be a factor that will lead to the denial of the application. "Good moral character,[…] has been interpreted as meaning character which measures up to the standards of average citizens of the community in which the applicant resides, and thus does not necessarily require the highest degree of moral excellence. Good moral character has not been a static term since the standards of a community often change with the passage of time. Character is not synonymous with reputation, since the latter signifies what a person is believed to be, whereas the former refers to what a person actually is in fact. Both reputation and behavior constitute evidence which tend to establish good or bad moral character, but neither are necessarily decisive for the factual issue involved." Further, one needs to demonstrate a good moral character over a statutory period required by law. Usually, it is five years, but the statutory period depends on the applicant's eligibility criteria for the citizenship application. However, it does not mean that the immigration authorities cannot consider conduct and subsequent reformation that occurred prior to the statutory period. In short, the good moral character requirement should be considered by applicants very seriously, and when in doubt, the applicants should seek help of an experienced immigration attorney.